The PSR unit is a hydraulic tool that can remove a support ring in a few minutes. Only a few years ago, a Pax support ring couldnt be removed without two people prying it loosea procedure that usually took about 20 minutes, according to McCourt Industries. 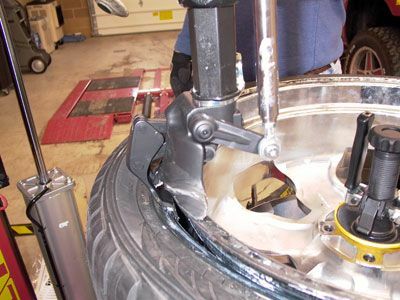 Mr. Ison removes the support ring in a Michelin Pax tire using a Pax Support Ring (PSR) tool. 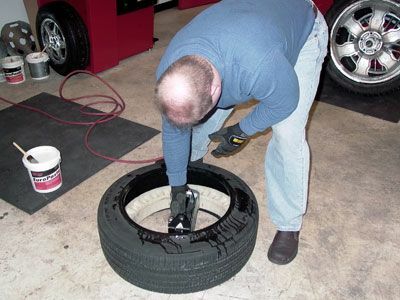 Mr. DeLoss loosens the inner support ring on a Michelin Pax tire/wheel assembly with the help of a tire lubricant called Euro Paste. The Corghi Artiglio Master 26 is a top-of-the-line, robotic machine that can change a tire in roughly four minutes, according to McCourt. Dan DeLoss, director of sales and marketing for McCourt Industries, snaps off the necessary tire weight allotment based on the readings from the Corghi tire balancer. 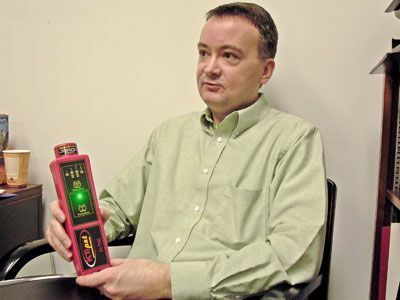 Larry Edgell, marketing manager for Myers Tire Supply Co., holds a positioning sensor tool made by K-Tool Corp. Myers markets the tool, which reprograms TPMS sensors. 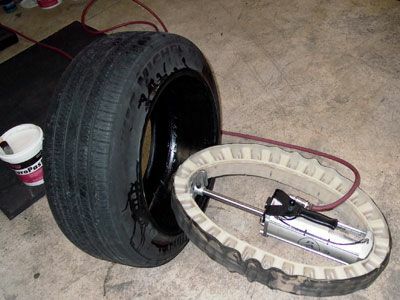 Advancements in tire changer technology eliminate manual bead breaking and accidental damage to expensive rims. 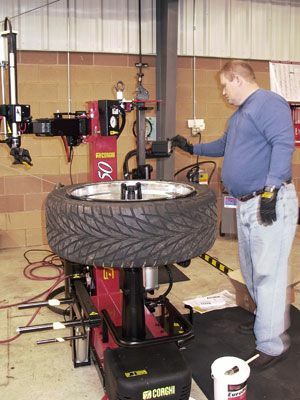 Fred Ison, McCourt Industries regional coordinator of the Northwest region, demounts a 22-inch tire on the Artiglio 50, Corghi S.p.A.s newest tire changer. 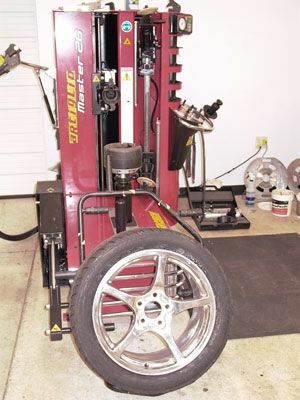 The machine can mount and demount up to 30-inch wheel diameters. Copley, Ohio-based McCourt is a U.S. importer of Corghi equipment.